Ellen McIntyre is a literacy professor in the Department of Teaching and Learning at the University of Louisville, where she teaches courses on lit­eracy research and instruction and studies children’s development in light of instructional contexts. She has published extensively, having coau­thored Reaching Out: A K–8 Resource for Connecting Schools and Families, coedited Classroom Diversity: Connecting School Curricula to Students’ Lives, Balanced Instruction: Strategies and Skills in Whole Language, and Creating Nongraded Primary Programs, and published in such journals as Language Arts, Research in the Teaching of English, Journal of Literacy Research, and American Educational Research Journal. Her most recent project, codirected with Diane Kyle, is “Sheltered Instruction and Family Involvement: An Approach to Raising Achievement of LEP Students,” funded by the US Department of Education. 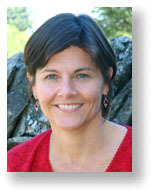 She also codirected with Diane Kyle a research project, “Children’s Academic Development in Nongraded Primary Programs,” funded by the Center for Research on Education, Diversity, and Excellence (CREDE) at the University of California at Santa Cruz.